The DIR-457 Portable 3G Router allows users to access worldwide mobile broadband networks. Once connected, you can enjoy data transmission and media streaming on-the-go. Simply insert your data SIM card, and share your 3G Internet connection through a secure 802.11g wireless network. The router is small and light enough to fit in your pocket. You don’t have to worry about where to place it, as it functions on a battery that provides up to two hours uninterrupted connectivity when transferring data. Based on UMTS/HSDPA 3G broadband technology, the router downloads data at speeds of up to 3.6 Mbps (384 kbps upload), ideal for Internet access on the go. 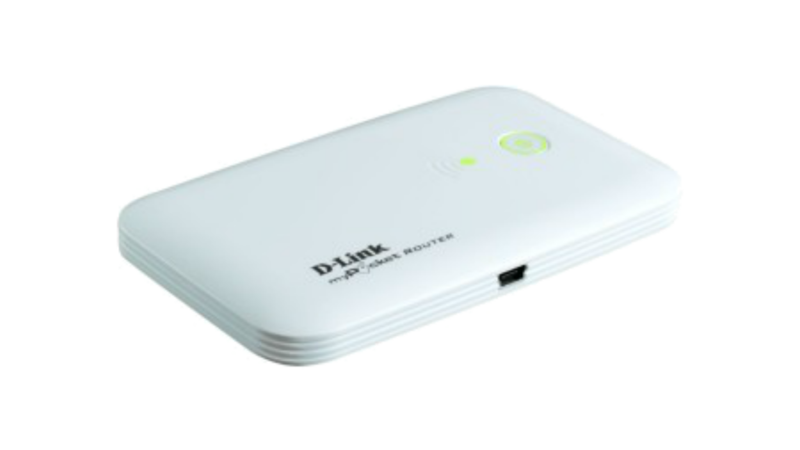 The router can be configured to work as a Wi-Fi router or 3G modem at the flip of a switch. As a router, you can share 3G connectivity between up to 16 Wi-Fi devices such as smart phones, notebooks or gaming consoles. Alternatively, you can enjoy personal access to the Internet by connecting the myPocket router directly to your computer via the USB cable provided. The DIR-457 can be used to perform all the text messaging functions that can be done on a mobile phone such as sending, receiving, replying, forwarding and deleting. Similarly, contacts on the SIM card can be displayed through the Contacts Manager; editing, adding, deleting or importing contacts is also possible. The DIR-457 utilises a built-in firewall to prevent potential attacks from across the Internet. It includes the best wireless encryption (WPA/WPA2) to prevent eavesdropping. The router can be installed quickly and easily almost anywhere. This router is great for situations where an impromptu wireless network must be set up, or wherever conventional network access is unavailable.